11:05 GAC® Plenary lecture by Prof. A.E. Williams-Jones (McGill Univ. ): "Metals, vapours and volcanoes"
11:30 GAC® Presidential Address by Richard Wardle (Biography):"Geoscience in Canada; the Best of Times, the Worst of Times"
11:30 MAC Presidential Address by Prof. Lee Groat (UBC): "Gem deposit exploration and potential in Canada"
John Jambor was a scientist of distinction who lived life to the fullest, not only contributing significantly to his scientific endeavors and collaborations, but building strong and lasting friendships in the process. John published widely, making important contributions in the fields of mineralogy, petrology, crystallography, and mineral deposits. John also contributed to the Earth sciences through his editorial duties, of which the most significant are Scientific Editor of The Canadian Mineralogist (1971–1975); Co-Editor, The Canadian Mineralogist (1975–1977); New Minerals Editor, American Mineralogist (1989–2007); Consulting Editor for Exploration and Mining Geology (1991–1999). He was also editor or co-editor of seven special issues, short courses and related books, as well as series editor for five Mineralogical Association of Canada short courses. Supercontinent amalgamation and fragmentation are surface manifestations of the continued tectonic activity on Earth and were major factors determining the distribution and timing of orogenesis, ore deposit formation and the environments in which life evolved. This theme will bring together cross-disciplinary presentations which investigate the nature and timing of formation and breakup of supercontinents and supercratons Nuna, Rodinia, and Pangea/Gondwana, the influence they have had on mineralization, the structure of Earth as we see it today, changes in the atmosphere and oceans and the development of life. Porphyry-style deposits are the world’s foremost sources for Cu, Mo, W and Sn, plus major sources of Au, Ag, and PGEs. They are typically large, low- to medium-grade deposits hosted within and near distinctive intrusive phases. Metal content is diverse and reflects tectonic settings; Cu and Cu-Mo deposits are relatively abundant in island- and continental-arc terranes, whereas Mo and W-Mo deposits are associated with extension of continental crust. This Special Session will investigate their genetic controls and distal footprints that identify hidden economic porphyry-style deposits by highlighting new ways to predict, identify, model, and evaluate fertile intrusive mineralizing systems. Themes will include tectonic settings, structural controls, mineral and fluid inclusion compositions, and surficial and biogeochemical indicators of covered and deep porphyry deposits. Sponsored by: GSC. This special session is associated with TGI-4 sponsored pre-meeting field trip A5 (see below). SS4. Geoscience Professionalism 2014: Issues, responsibilities and information – what’s new, that you need to know? The profession of geoscience around the world is looked upon by governments, by industry and by academic institutions to assist with the setting of standards for communication of geoscience information relevant to public safety, sustainable development and capital investment; it is also looked upon to ensure that training of geoscientists achieves the academic outcomes, skills and competencies necessary for modern, safe and effective practice. Geoscientists, as P.Geo’s, are independently and publically accountable for all the work they do in serving the needs of society. They have a duty, not only to stay abreast of new scientific developments and advances in technology in their area of expertise and for an every changing workplace, but also, to be informed of evolving affairs concerning their profession. 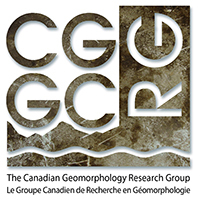 This annual session is intended to again provide topical information to the geoscience community and practitioners alike about professionalism and ethics in geoscience in Canada and globally, trends toward professional registration, greater public protection and accountability. Students, those preparing to become P.Geo’s, as well as those preparing others to become P.Geo’s, should also find this session to be highly informative. This session will entertain papers that have developed techniques or have applied remote predictive mapping techniques for geological mapping or associated geoscience applications. Topics of interest would include the application of various types of remotely sensed imagery (including geophysics, optical, radar, hyperspectral and LiDAR) to bedrock, surficial, geomorphic and alteration mapping as applications directed towards hazards such as landslides, permafrost, floodings and earthquakes. Topic involving mineral potential mapping (2D or 3D) techniques and application studies will also be included. Sponsored by: GAC® and CGRG. Eastern North America and Frontier petroleum systems include conventional and unconventional hydrocarbon resources and cover a range of exploration and development opportunities; from onshore tight gas sands and shale opportunities, to new exploration activity offshore Atlantic Canada and the Canadian Arctic. This session will examine both the opportunities and the challenges that these developments provide. This special session is associated with pre-meeting field trip A1 (see below). Environmentally responsible development of metal mines, energy resources (including oil sands and shale gas), pipelines and transportation corridors requires innovative geoscience information to inform environmental assessments and to help guide monitoring and restoration activities. This session will demonstrate how geoscience knowledge can be used to better understand baseline conditions, ecosystem and human health risks, and environmental processes throughout the development life cycle. We invite contributions on a broad range of these topics including, but not limited to, resource development issues in Atlantic Canada. Sponsored by AGS and GAC®. In 2014 Professor Ron Pickerill will have been a member of the UNB faculty for 40 years. During his career he has made significant contributions to the fields of ichnology, paleontology and sedimentology. This special session will be open to contributions from these fields within the general theme of substrate-biota interactions. Sponsored by: GAC®. Alkaline magmatism appears as the key element for the mineral resources of a low-carbon energy world. Major issues remain in the understanding of the genesis of these magma and their associated mineralizations. Recent progresses are based on integrated studies on Archean to recent systems involving field observations, detailed mineralogy, textural interpretations, and geochemistry. Contributions on all subjects relevant to advancing our understanding of processes involved in the development of alkaline magmatism and associated mineralization are welcome to this special session. Although the concept of source-transport-trap is a well-established way of understanding how mineral deposits form, this concept is limited as it does not explicitly consider geological processes and features, such as geodynamic setting and basin make-up, that fundamentally define the characteristics of mineral deposits. The mineral systems concept, which considers all geological processes that form and preserve mineral deposits, expands the source-transport-trap concept to include geological processes that operate beyond the district scale to form and preserve mineral deposits. The purpose of this symposium is to examine mineral deposits from the broader mineral systems perspective, illustrating how this approach is predictive and can provide new insight into relationships between apparently disparate mineral deposit types, how it has been used successfully in discovering new deposits, and how it can be used to explore under cover. UNB’s Fredericton campus, located in New Brunswick’s capital, was established in 1785; its Saint John campus, located in New Brunswick’s largest city, was established in 1964. UNB is among the oldest public universities in North America and the oldest English-language university in Canada. UNB’s international students originate from more than 100 countries, contributing to the cultural fabric of our host communities and the entire province.